Autel MaxiDiag MD805 Scanner is the first truly affordable full system scanner. For a price that is half its equivalent elite version, it can read and effectively clear O.E.M enhanced codes. Autel MaxiDiag MD805 Scanner is the first truly affordable full system scanner. For a price that is half its equivalent elite version, it can read and effectively clear O.E.M enhanced codes. It has the Electronic Parking Brake (EPB) and Oil Reset only found on highly priced scanners. There is one more thing that you will notice in Autel MaxiDiag MD805 Scanner that you can’t find in your ordinary scanner. It supports up to 50 test modules in all OBD2 compliant vehicles. To find out more about Autel MaxiDiag MD805 Scanner, read this review that highlights the strength and weakness of the Autel scanner. Autel MaxiDiag MD805 Scanner supports most of the advanced features. Here are the key features in Autel MaxiDiag MD805 Scanner. 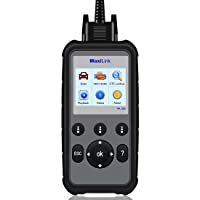 If you have ever been stuck on EPB lights and simply couldn’t disengage the parking brake, then you will really appreciate Autel MaxiDiag MD805 scanner. You will notice that an ordinary scanner or code reader cannot reset EPB. 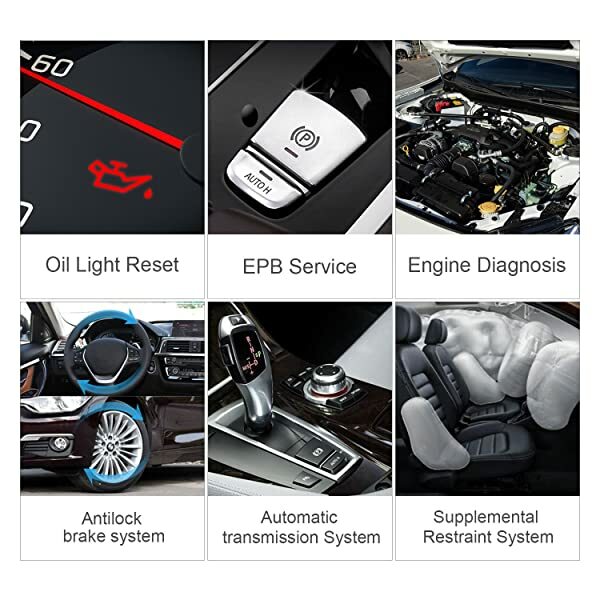 It will not only allow you to reset EPB but also diagnose the entire brake system. However, Autel MaxiDiag MD805 Scanner has EPB reset feature. It will not only allow you to reset EPB but also diagnose the entire brake system. It can pinpoint out the faults within the brake system. And once the fault is fixed you can reset EPB with a single push of a button. An operating error usually pops up when you are trying to clear EPB in some car models. Knowing when to change your car oil can be a bit confusing if you have recently recalculated your millage. But with Autel MaxiDiag MD805 Scanner it’s pretty easy to establish when you need to have an oil change. Changing oil at the right time is the best way to cut on maintenance and repairs. Besides, the performance of your car will significantly improve when your car engine is running on clean oil. Once you have replaced your oil then you need to reset the oil lamp. The good news is that Autel MaxiDiag MD805 Scanner allows you to quickly reset the oil lamp with a single push of a button. Other than resetting the oil lamp, the oil reset feature will detect other faults that may result when the oil drops below the recommended levels. Such issues include elevated engine temperatures and increased frictions within the rotating components. When performing oil reset functions you often encounter vehicle linking error. This will prompt you to turn off the ignition for ten seconds and turn it on again. 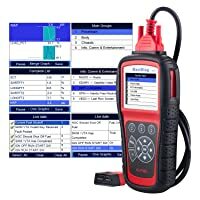 You will be able to diagnose all your cars including even the latest model with Autel MaxiDiag MD805 Scanner. This is because the software has a lifetime updatable status. It means that you will only have to part with your money once and get to access all other functions for free. 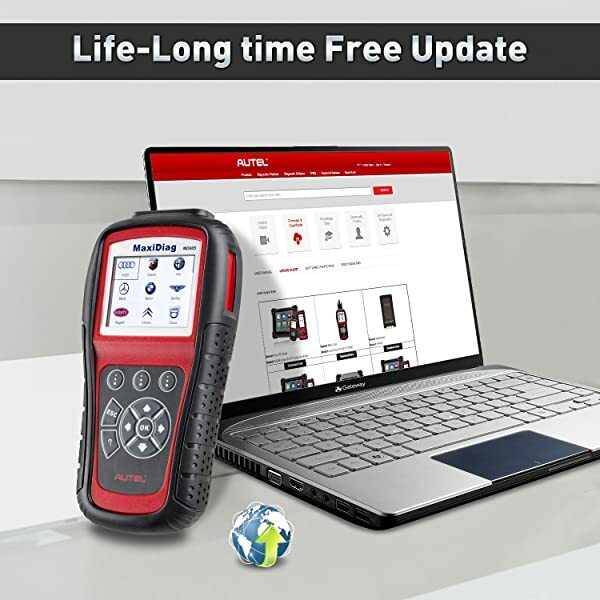 Additionally, Autel MaxiDiag MD805 Scanner is supported by an efficient online customer service that will help you update the software successfully. It means that you will only have to part with your money once and get to access all other functions for free. The step-wise process of updating software is tedious and cumbersome. Whenever you want to diagnose a number of car models then Autel MaxiDiag MD805 Scanner should be the first choice to consider. This is because it covers most of the U. S, Asian, and European models manufactured after 1996. Autel MaxiDiag MD805 Scanner covers most of the U. S, Asian, and European models manufactured after 1996. In addition, Autel MaxiDiag MD805 Scanner supports 50 test modules in all OBD2 compliant vehicles. And if you want to retrieve codes in a language that you are proficient in, Autel MaxiDiag MD805 Scanner will help you do that. It is also compatible with windows and you can easily connect it to your PC when you want to update the software. This Autel scanner is a multilingual scanner that supports several languages. The efficiency of Autel MaxiDiag MD805 Scanner can be brought out more by comparing with similar scanners. Bottom Line Autel ML629 is built for average car owners and DIYers. Autel MaxiDiag MD805 is for those who want to do full system diagnosis or try all OBD2 functions. Autel MD802 is built for experienced enthisuasts and DIYers. Beginner mechanics will get a lot of value, too. If you are a mechanic or a professional tech then the scanner is built for you. Basically, Autel MaxiDiag MD805 can perform both basic and advanced functions. 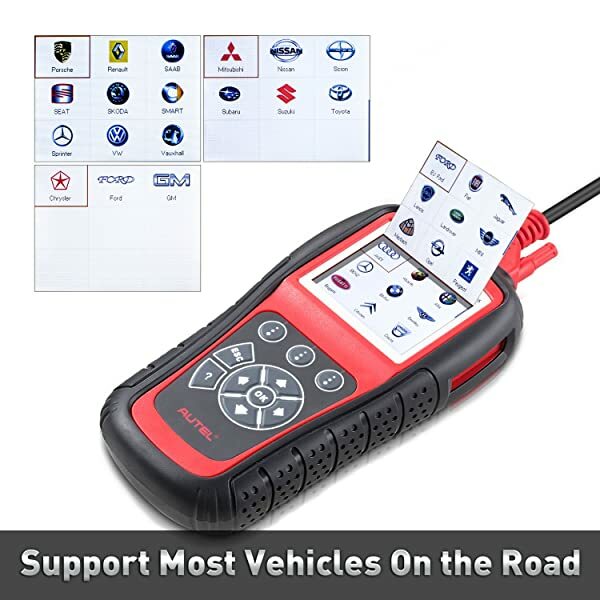 The fact that this Autel scanner covers almost all car models makes it even more ideal for professional tech and mechanic who own auto-shops. 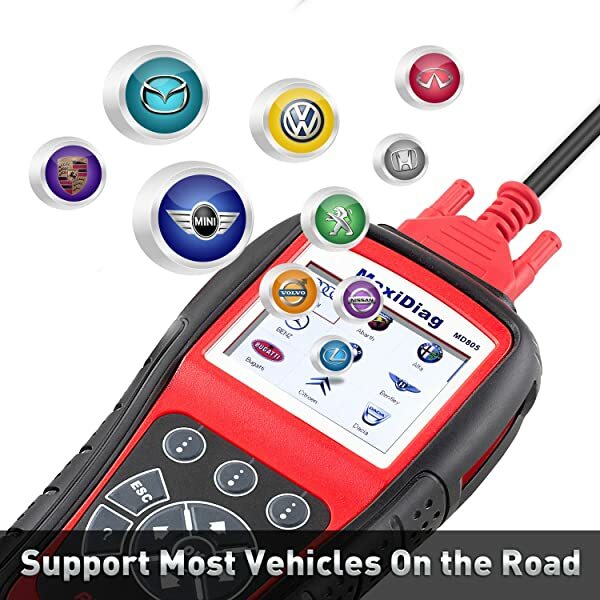 Autel MaxiDiag MD805 is an effective tool for Do It Yourself car enthusiasts and average car owners. It allows you to perform basic functions. Autel MaxiCOM MK808 has all the basic and advanced functions that you may expect and that would really come in handy if you have your own shop.